This dish* is tasty, comforting and easily made in 30 minutes. I also like that it seems suitable for just about any time of year–except maybe the hottest weeks when you’d rather not turn on your oven or stovetop. I even made this dish while traveling abroad. We were visiting friends in Paris, and since both of them work, I thought I’d help out by making dinner. Parisienne kitchens aren’t known for being particularly spacious, which made this dish a good choice. 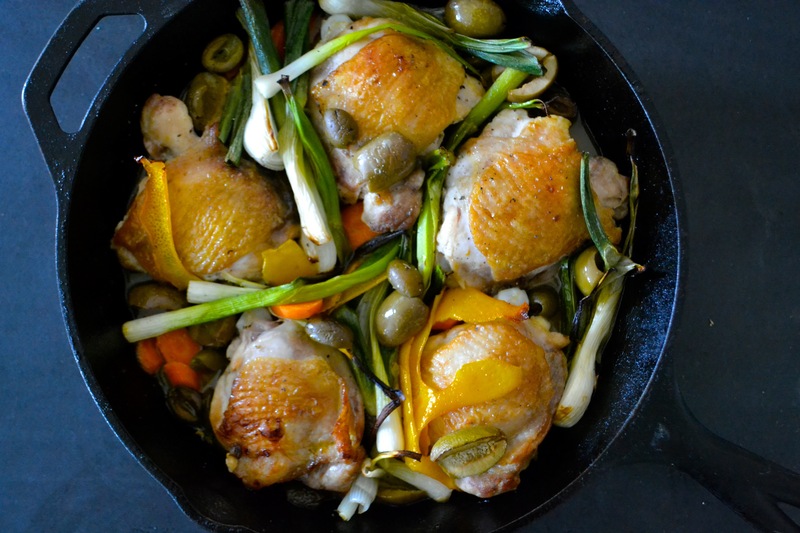 You basically need one skillet and one cooking board. 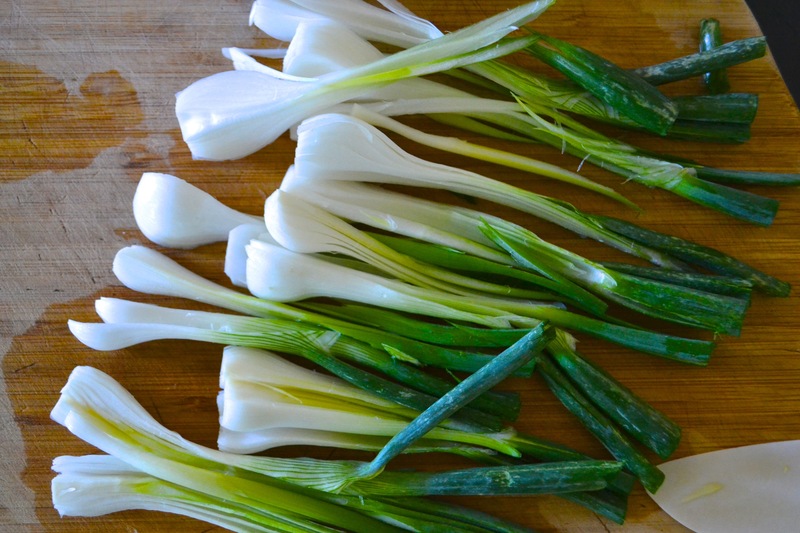 I’ve prepared this dish twice in the past two months since it uses green or spring onions, and I’ve been picking the most sweet and tender spring onions from my favorite U-pick farm where I live, Bloomfield Farms in Petaluma, Calif.
Preheat oven to 450F. Heat a large cast-iron skillet over medium-high until hot, approximately 1 minute. Season chicken with salt. Swirl oil in skillet until the bottom is evenly coated. Working in batches if needed, add chicken, skin side down, and brown, about 5-7 minutes. Depending on how you feel about animal fat, you can either proceed to the next step or take a minute to pour off some of the fat that accumulated during the browning process. Turn chicken so the skin side faces up. Add onions, olives, orange zest and juice to skillet. Place the pan in the oven and cook until the chicken is cooked through, 15-20 minutes. Serve warm as a complete dish or with roasted potatoes and a fresh green salad.